On September 20, 2007 the Guyana-Suriname Arbitral Tribunal established under the United Nations Convention on the Law of the Sea made public its findings on the long-standing maritime controversy between the two countries. 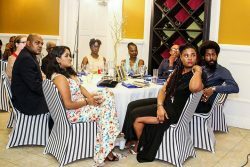 In an address to the nation delivered just hours after the findings were made public, President Bharrat Jagdeo outlined the six “core issues” considered by the Tribunal and detailed their outcomes on each of those issues. In this issue Guyana Review publishes that section of President Jagdeo’s address detailing the “core issues” and their outcomes. Suriname’s action on June 3, 2000 in interrupting the oil rig CE Thornton effectively prevented any further exploratory work in that maritime area – by anyone. It certainly set back Guyana’s economic development. If that action was left as the determinant of the status quo, there would have been irreparable damage to Guyana’s development. Moreover, left unchallenged, it undermined the purposes of the UN Convention on the Law of the Sea to which both Guyana and Suriname (and more of the world’s countries) are signatories. 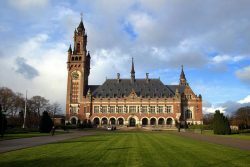 The Tribunal has found that the expulsion of the CGX oil rig by Suriname on June 3, 2002, “constituted a threat of the use of force in breach of the Convention (on the Law of the Sea), the UN Charter and general international law.” The Tribunal’s Award has confirmed the rule of law in CARICOM’s maritime areas. Guyana’s resort to compulsory arbitration under the Law of the Sea Treaty came after extensive efforts to resolve this issue bilaterally. Suriname did not want the maritime boundary to be established by the Tribunal despite the damage a continuing maritime dispute would cause. Suriname actually tried to prevent the Tribunal from reaching a conculsion on the merits of the case. It did so by arguing that the Tribunal had no jurisdiction to fix the maritime boundary-a step which inevitably lengthened the period and increased the costs of the arbitral process. Guyana’s legal team argued strenuously against this. In the end Guyana succeeded. 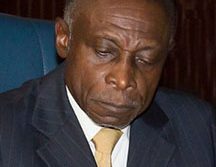 The Tribunal found that it had jurisdiction and has authoritatively established the maritime boundary between Guyana and Suriname. It has placed the matter beyond dispute. 3. Determining where the boundary is. From the time of the establishment of the International Regime on the Law of the Sea in the 1950s Guyana has asserted its acceptance of the principle of equidistance – a technical term for a method of establishing an equitable maritime boundary between neighbouring states by drawing a boundary line in the sea that is, at all points, equidistant from the coastline of both states. It is the most widely accepted method in the international community although there are variations in particularly complex coastlines. In the case of Guyana and Suriname, whose coastlines are relatively regular, it produces a line that runs in a northeasterly direction from the coast; and Guyana has been guided by it constantly. Suriname has argued for a boundary line that is more northerly; one that would therefore change Suriname’s maritime area. They argued that the boundary between Guyana’s and Suriname’s territorial waters that was fixed in 1936 along a 10 degree North line for a distance of only three miles, because of considerations of the channel in the mouth of the Corentyne River, should be extended along the same 10 degree axis beyond the three-mile limit previously agreed all the way to the 200-mile limit of the Exclusive Economic Zones claimed by both Guyana and Suriname. The Tribunal has rejected this argument and in the area beyond three miles from the shore it has drawn the boundary in a more northeasterly direction for the remaining 197 miles, as Guyana has requested, using the principle of equidistance as its basic guide. That principle was established in the laws of Guyana since 1977 – in our Maritime Boundaries Act – and has always guided our conduct. 4. Guyana’s sovereignty to the resources of the sea-bed. The UN Convention on the Law of the Sea establishes that, in its Exclusive Economic Zone and Continental Shelf as delimited under the Convention, Guyana has “sovereign rights’ of exploration and exploitation of the sea bed and sub-soil of the Zone and of the waters above them. The Exclusive Economic Zone runs outwards from Guyana’s territorial sea up to a distance of 200 miles and is bounded on the lateral side with Suriname by the maritime boundary that the tribunal has established Guyana’s sovereign rights to explore and exploit the hydrocarbon resources within the boundaries of the Exclusive Economic Zone and the Continental Shelf, once contested by Suriname,and now settled on the basis of the Tribunal’s Award. 5. Return of Guyana’s licencees in the disputed area. The Tribunal’s Award has made it possible for CGX and other licencees to resume their petroleum exploration activities on Guyana’s side of the equidistance line, which as of today constitutes the definitive, lawful and internationally recognized boundary between Guyana and Suriname. The Tribunal has stated clearly that “Guyana now has undisputed title to the area” where the CGX rig was exploring for oil before it was forcibly evicted by the Surinamese military forces. In fact, the area lies a full 15 kilometres to the west of the boundary established by the Arbitral Tribunal and is therefore well within Guyana’s waters. The Tribunal’s Award is effective immediately and Guyana looks forward to the prompt and successful resumption of petroleum exploration activities in these waters. 6. Guyana-Suriname relations going forward. As I explained when I announced the filing of Guyana’s claim on February 25, 2004, Guyana saw the proceedings before the Tribunal “not as an adversarial process, but one designed to establish a sound basis for economic development in the maritime regions of both Suriname and Guyana.” Throughout the proceedings, Guyana conducted itself in that manner and now that they are ended we look to the future as a new era of cooperation with Suriname, both within CARICOM and bilaterally. Both Guyana and Suriname are pledged and obliged by International Law to accept and respect the Tribunal’s Award. I have already explained how satisfied Guyana is with the Award on every one of the core issues before the Tribunal. I have deliberately not spoken of ‘winners and losers;’ that would not have been appropriate because in a very important sense both Guyana and Suriname are winners – for having participated responsibly and peacefully in this historic process and for having emerged with a common maritime border that puts and end to this long-standing source of tension between our two great countries. The great achievement of the Award is to open harmonious cooperation in their economic development and in their relations as good neighbours. I have already conveyed these sentiments to President Venetiaan.